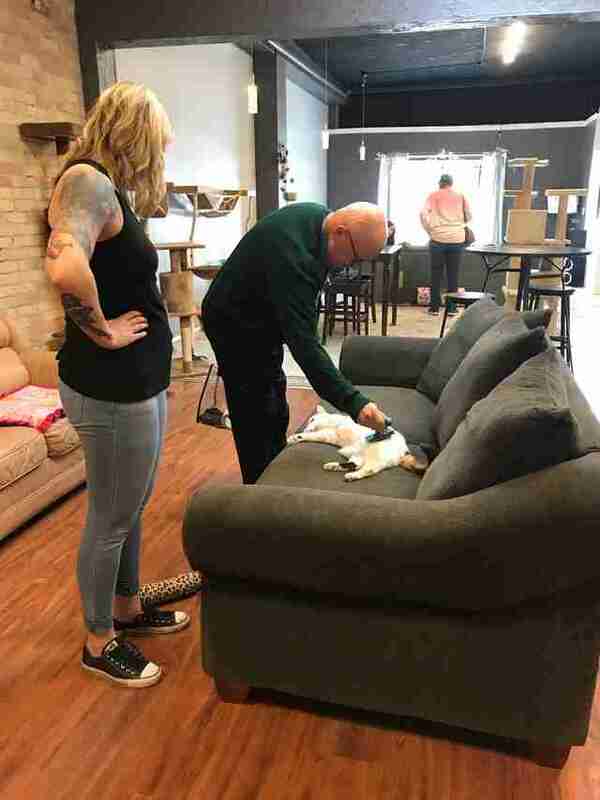 It was a typical day at Safe Haven Pet Sanctuary in Green Bay, Wisconsin, when a man walked in and inquired about volunteering. He introduced himself as Terry, and said that he wanted to help by brushing cats. That was six months ago, and now Terry comes in to the shelter every day, and has changed the life of every cat at the sanctuary. Safe Haven Pet Sanctuary is a sanctuary and adoption center that specializes in rescuing cats with various special needs. The volunteers’ main job is to help socialize the cats, getting them used to interacting with people and providing them love and comfort. The sanctuary’s volunteers are all incredibly loved and appreciated — but no one could have ever imagined that they’d find a volunteer like Terry. 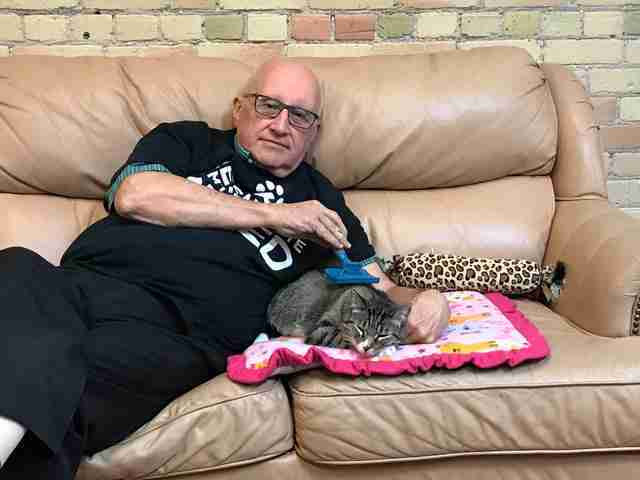 “He just walked in with his own brush, and started brushing cats,” Elizabeth Feldhausen, founder of Safe Haven Pet Sanctuary, told The Dodo. Terry has brushed and spent time with each and every cat who lives at the sanctuary. He can tell you all about each one’s likes and dislikes, and greets them all every day as if he is greeting a group of old childhood friends. 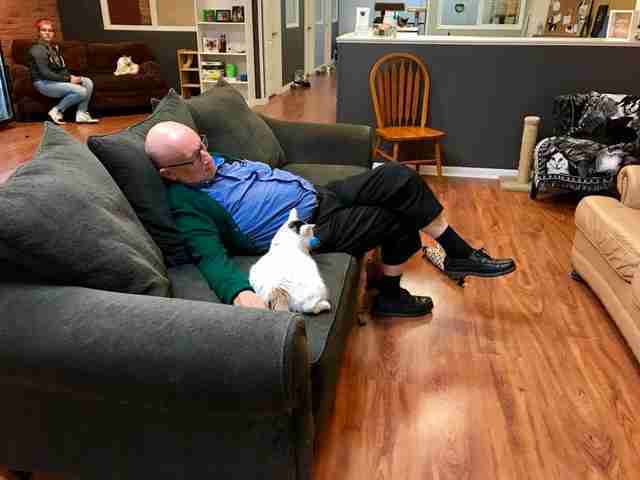 Terry loves hanging out on the sanctuary’s comfy couches and brushing all the cats — and more often than not, he’s so comfortable and content that he ends up falling asleep. Even though it’s always by accident, Terry’s naps have become a staple part of the sanctuary’s daily schedule. All the cats absolutely adore whenever Terry falls asleep, and take turns snuggling up in his arms and napping alongside him. None of the staff at the sanctuary mind at all when Terry falls asleep. 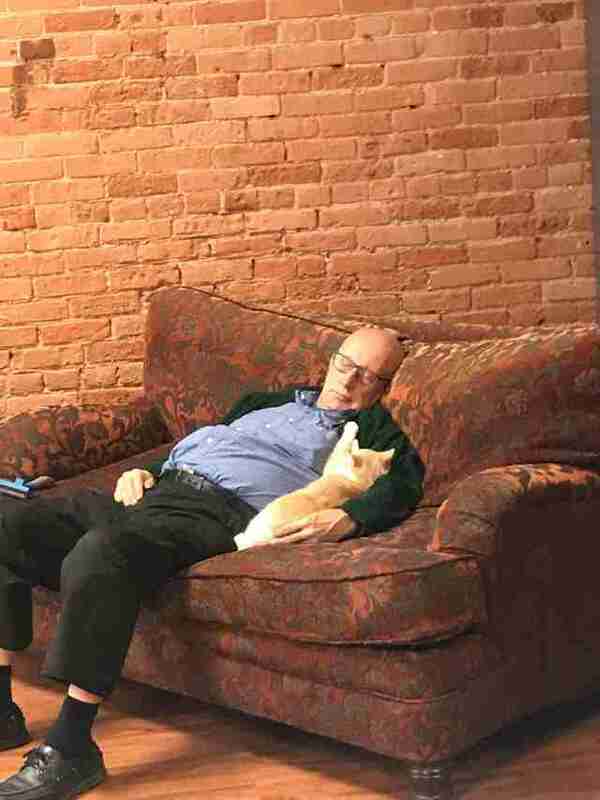 In fact, they think his nap time with the cats is pretty perfect, and are incredibly grateful to have him as a volunteer. 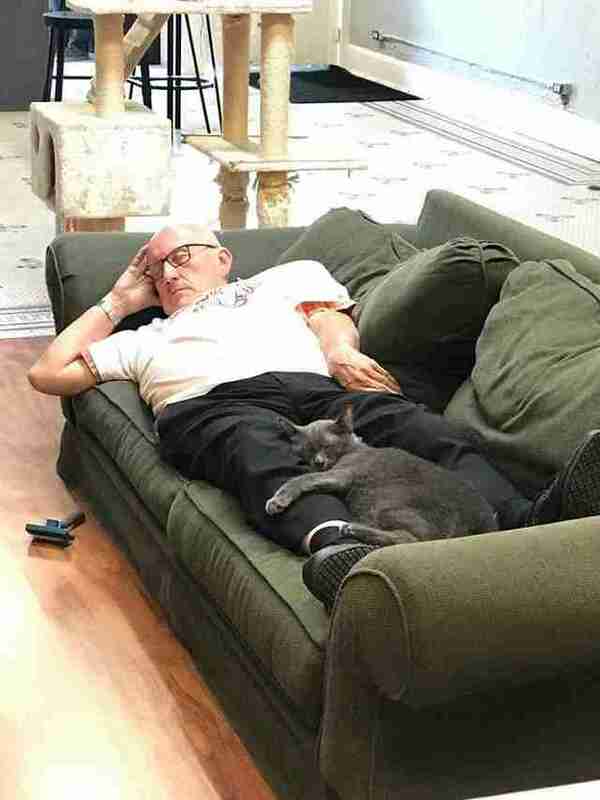 “He spends equal time with all the cats,” Feldhausen said. If you’d like to support Terry and his cat friends, you can donate to Safe Haven Pet Sanctuary.